MTV’s teen comedy may not be among the best (“Freaks & Geeks,” “My So-Called Life”) but it’s much closer than those of you who gave up on the network when they gave up on music videos may believe. This is timely, funny stuff that works for multiple generations. It’s imperfect but often funny enough that you won’t notice the flaws. It could even bring you back to MTV. It helps that the “Seasons 1 & 2” set is LOADED with special features. Like all modern shows, I believe it should be on Blu-ray just on principle but the special features here make up for that oversight. 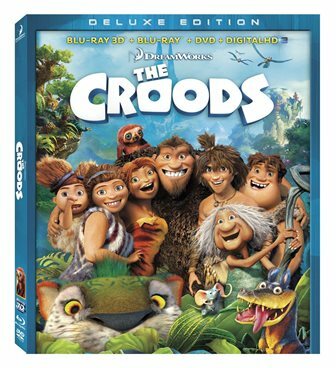 “The Croods” will always have a special place in my heart as it’s the first film my son saw in the theater. If it means anything, he loves it. And he’s picky like his dad. It’s easy to see why. It’s a visual ride, a film that keeps the little ones engaged with its breakneck pace and stunning CGI animation. I wish the storytelling was a little deeper but the quality of the filmmaking, including the voice work, is well above average. The Blu-ray is also a little slight on special features (and even the transfer seems so-so) or this might have ranked a little higher on this week’s list, the strongest edition of What to Watch to date in terms of quality. In some recent weeks, this would have been near the top. o Be An Artist: Draw Creatures From The Croods! I’ll admit it. 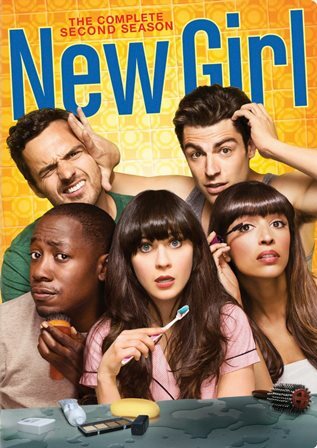 I’m a man and I really enjoy “New Girl.” It’s not just for women. It’s a smart, fun, well-performed relationship comedy, which has only gotten better as the show has become less of a star vehicle and more of an ensemble comedy. The second season seemed to lose some buzz, dropping in ratings and failing to notch the Emmy nods of the first season. I don’t get it. I think it has more to do with the unstoppable erosion of network ratings than an actual dip in quality. You check out the DVD and decide for yourself. We’ve broken most Scream Factory releases out to their own standalone Blu-ray reviews because there’s usually so much to talk about in relation to them. Such is not really the case here. The special features were all previously available, the transfers aren’t as mind-blowing as some of the recent SF ones (“Day of the Dead” is breathtaking), and, well, arguably 67% of the set is horrendous. Even the first movie hasn’t held up very well. 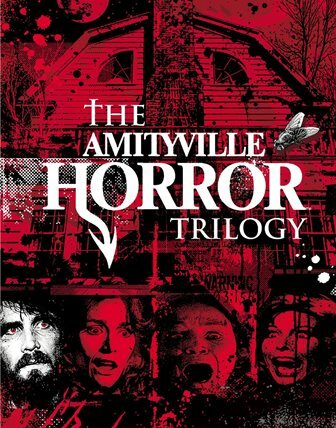 This is for diehard horror fans this holiday season only, those excited to watch “Amityville 3D” again. You know who you are.